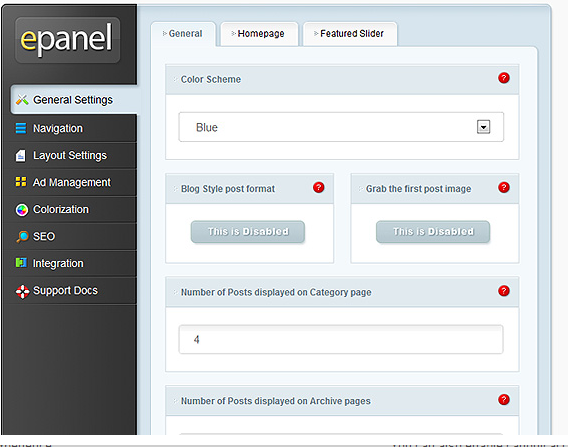 January 17th in Premium Themes by Wordpress Jedi . If you are putting time and effort towards creating killer content for your blog, you want to make sure to get a decent theme to help you present your information to the world in a more effective fashion. A theme that is good looking and easy to customize can help your blog grow faster and make a better impression on your visitors. 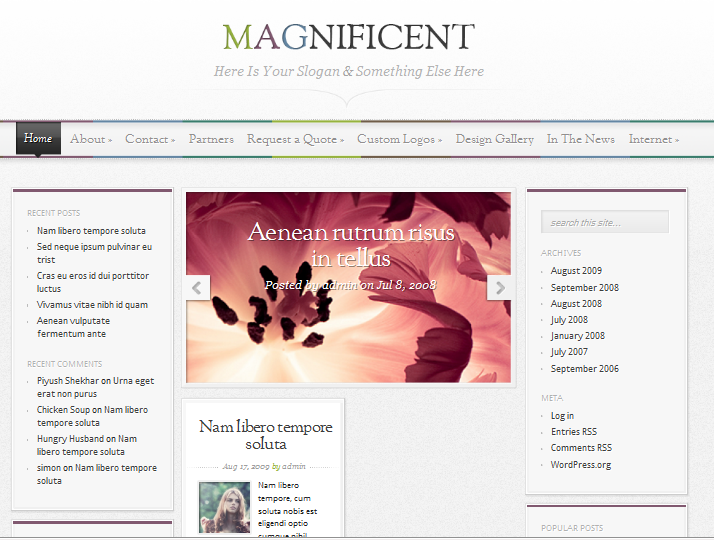 Magnificent is such a theme. It’s a super clean and attractive blogging theme that has everything a blogger would need to promote his/her content and get people to want to come back for more. This theme features 4 columns and has 5 widget areas that you can use to promote your content, show your ads, or do all other kinds of things. It has 7 color schemes. You can add more by playing with CSS files. 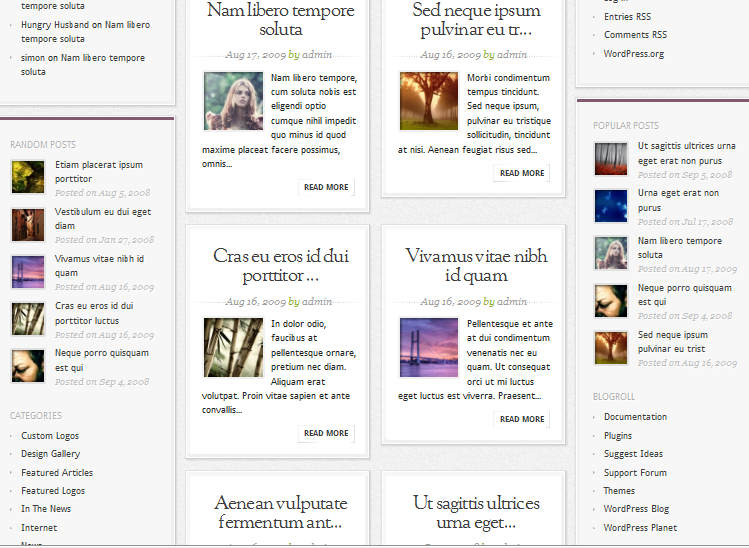 That’s the beauty of Elegant Themes products. It’s so easy to customize the code as long as you have a basic knowledge of web technologies. You can get a lot of things done from the back-end without having to touch your code. You can optimize your website for the search engines, modify your site’s navigation, and manage your banners from there. Element Colorization feature is pretty neat too. Pretty solid if you ask me. A great theme for beginners.